Venezuela is interested in purchasing a new batch of Russia's Su-30 fighter aircraft, Deputy Director of Russia's FSMTC Anatoliy Punchuk said Thursday. RIO DE JANEIRO (Sputnik) — Venezuela is interested in purchasing a new batch of Russia's Su-30 fighter aircraft despite difficult political and economic situation in the Latin American county, Deputy Director of Russia's Federal Service for Military-Technical Cooperation (FSMTC) Anatoliy Punchuk said Thursday. "There is an interest, and it is emphasized in many ways. But one must understand that today Venezuela is in a difficult financial situation, they put internal social issues first, and it is necessary to ensure social reforms that the government is carrying out," Punchuk told journalists at the Latin American Defense and Security International Exhibition (LAAD) Defense and Security Exhibition. He added that the construction of a service center to repair Russia-made helicopters was being completed in Venezuela. "We will complete [the building] of the helicopter service center in Peru by the end of 2017. We are also completing the building of a similar center in Venezuela," Punchuk said. 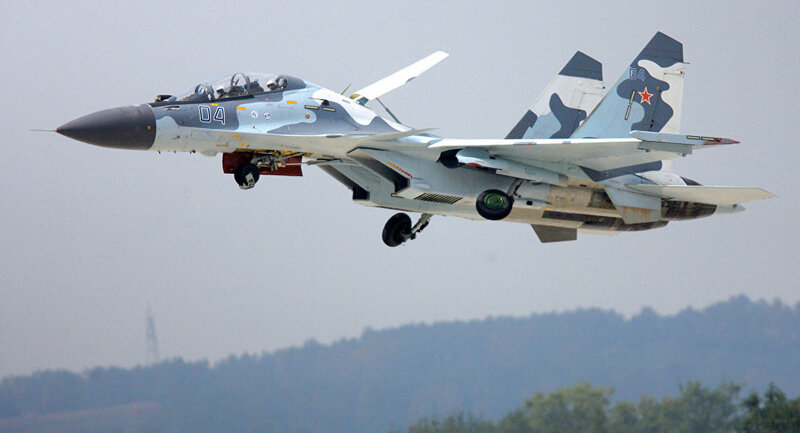 Russia supplied 24 Su-30 fighter jets to Venezuela between 2006 and 2008. Venezuela is currently in the state of economic emergency, declared by President Nicolas Maduro in January 2016 in light of widespread food shortages, hyperinflation and anti-government protests. On March 29, the Supreme Court of Venezuela ruled that it would assume the powers of the National Assembly, the country's unicameral legislature, controlled by the opposition majority. The decision triggered sharp criticism around the world with a number of countries, including Chile, Peru and Spain expressing their concern over the issue. On April 1, the court decided to return legislative powers to the National Assembly as well as the immunity to its lawmakers.